Electrical Projects Division has been conferred with the award ‘Best HSE Contractor of the Year - 2017’. BEC ranked 1st among the other prominent contractors. 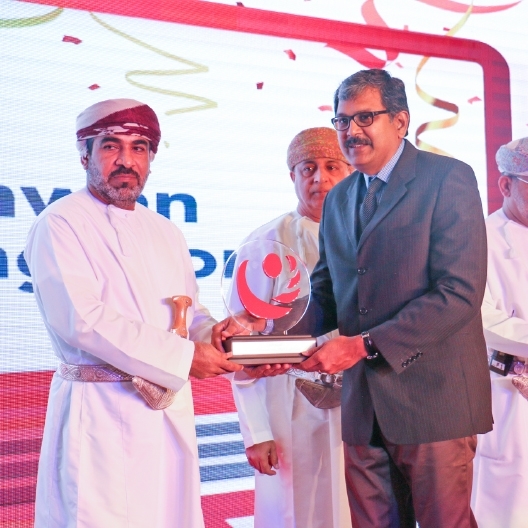 The award ceremony was held at Hotel Crowne Plaza under the esteemed presence of HE Dr. Ahmed bin Mohammed bin Salim al Futaisi - Minister of Transport & Communications and officials of OETC & Nama Group. During the ceremony, HE Dr. Al Futaisi presented the award to BEC. Congratulations to the Electrical Projects Division for their remarkable HSE achievement during the execution of various projects under OETC.